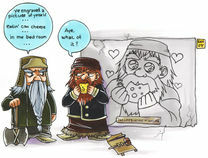 Dwarf Fortress, due to a combination of its insane level of complexity and minimal artistic depiction, attracted the attention of various webcomic writers and artists - detail minded folk, often attracted to games, and with very active imaginations. 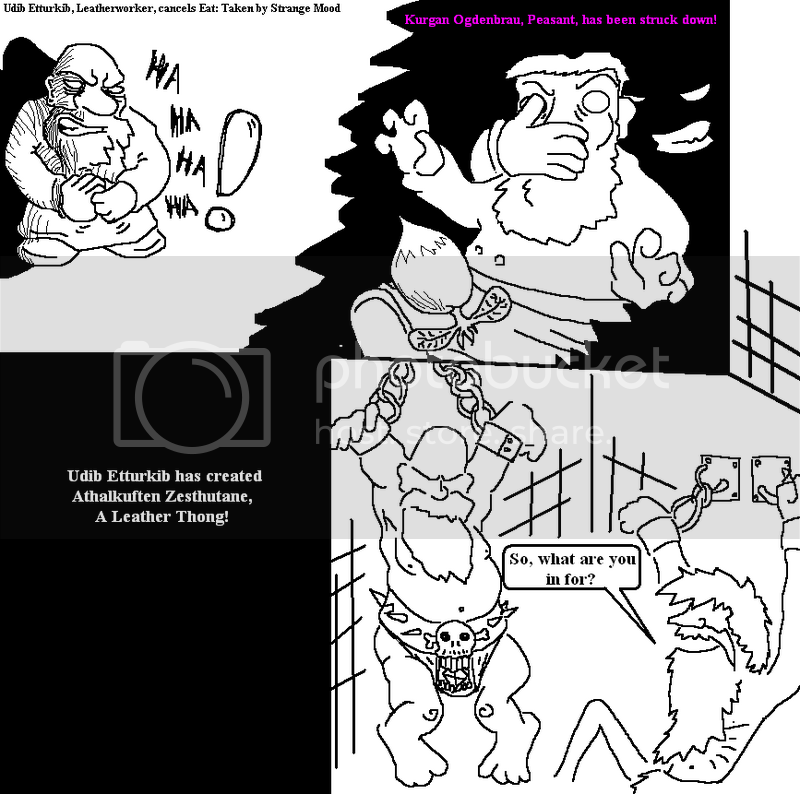 These webcomic 'strippers have immortalized Dwarf Fortress, sometimes as individual episodes in their ongoing webstrips, sometimes as brand new webcomics devoted entirely to Dwarf Fortress. 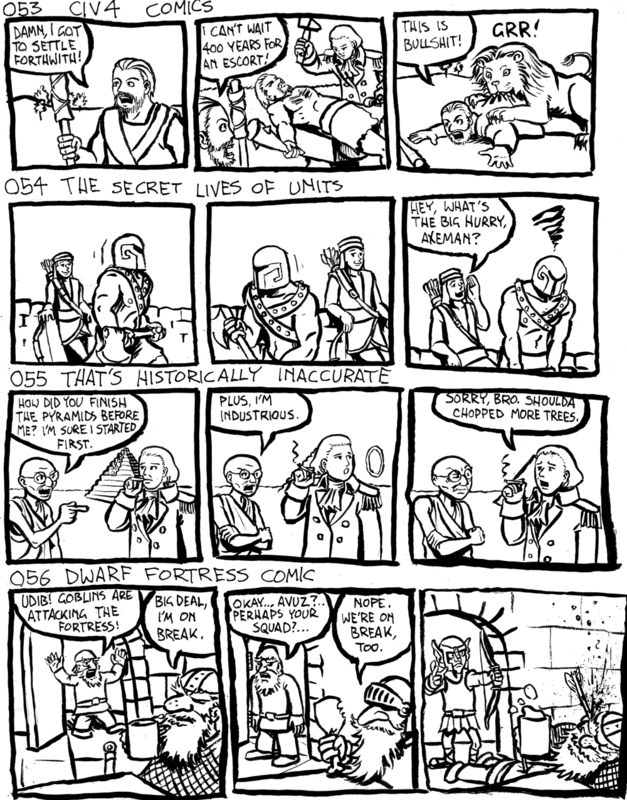 Ongoing webcomics primarily about Dwarf Fortress. 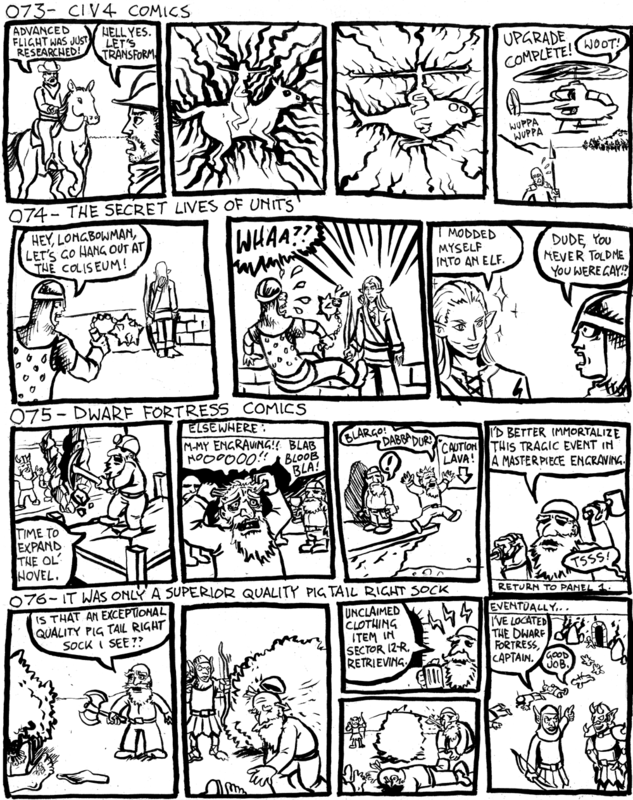 Literally every one of them is dead, and none of them have more than twenty pages, so don't get your hopes up.